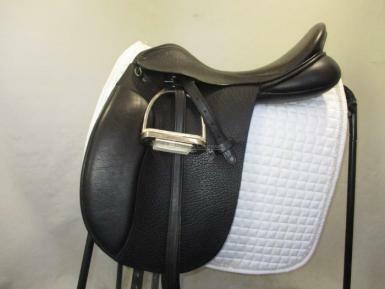 Anky Salinero Dressage Saddle 18"
A popular deep seated dressage saddle. The buffalo gained european leather flaps are extra hardwearing and offer extra grip. 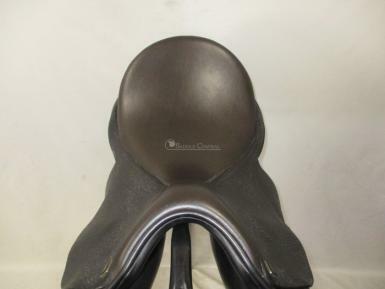 This saddle hasn't had much use, the flaps are in excellent condition, unfortunatley it spent too much time stitting on a metal saddle rack causing dents in the underside of the panel, this is reflected in the price. 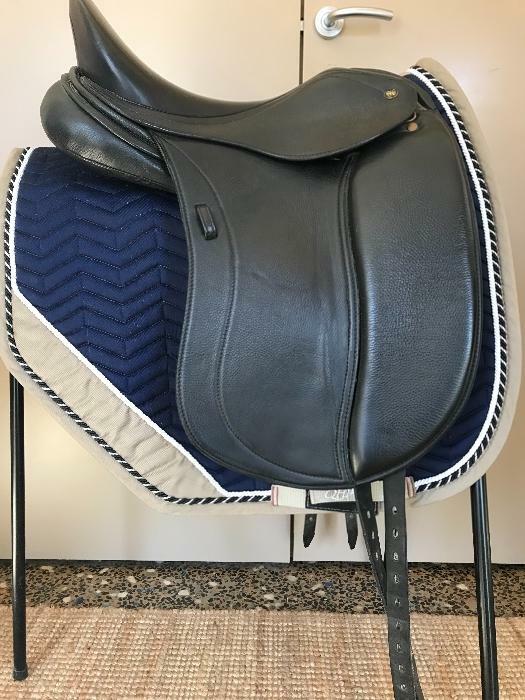 The panels are flock filled and the tree is lightweight carbon fibre, with a easy change gullet, currently fitted with a medium wide gullet. 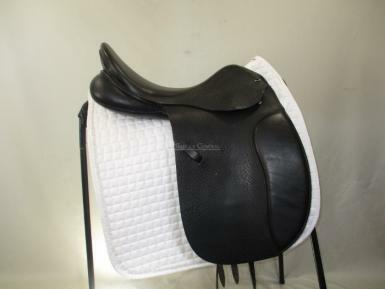 Includes Anky soft leathers and stirrup irons and original Anky fleece saddle cover. 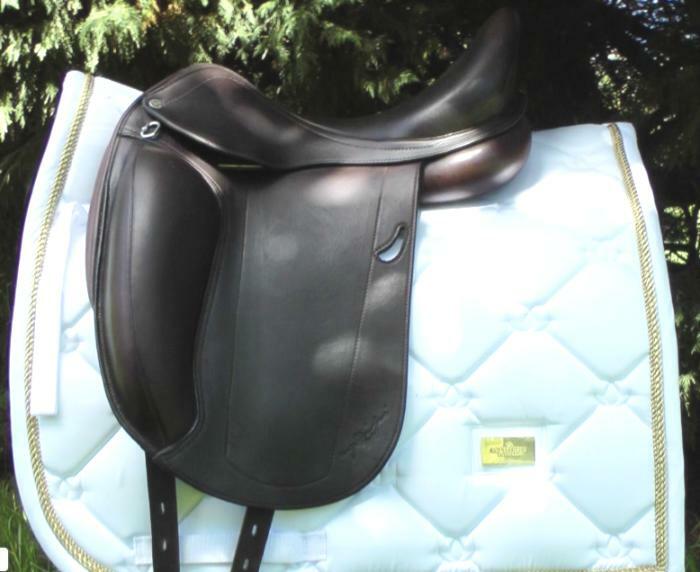 Saddle Condition: Flaps and girth points excellent. Seat is good. 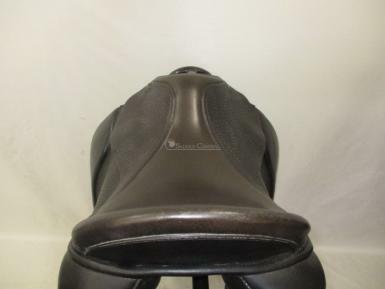 Wear/Damage: Slight fading on seat, minor scuffing along the cantle and a few cat scratches on the pommel. Dents on underside of panels from sitting on a saddle rack. Tree Size Measured: currently MW, we can change to suit. 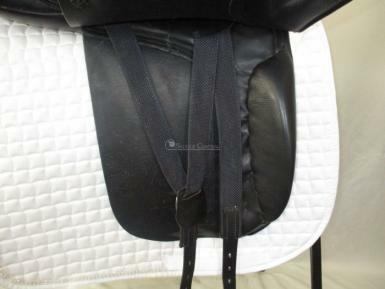 - Add Anky/Pessoa series 1 gullet alteration to your order.